While Google’s hardware offerings back from the Nexus days may not have been as popular as smartphones from Apple or Samsung, the company has always had quite a few loyal customers who persisted with the brand. Now, according to reports from Reddit and Android Police, Google is rewarding some of those ‘loyal Nexus owners’ with a 20% discount on the purchase of a Pixel 2 device. 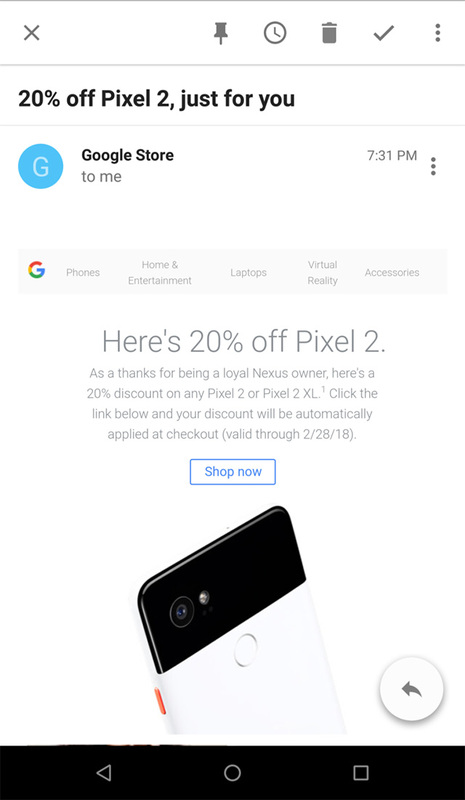 The company is sending out emails to handpicked customers with the subject line “20% off Pixel 2, just for you”. The email states that the offer is the company’s way of thanking the customer for being a Nexus owner. However, the company is only extending the offer to customers in the US. Customers who receive the email can redeem the discount on Google’s online store on or before February 28. In case you already have a Pixel 2 device, there’s bad news, as you can’t transfer the discount to another person. The discount is applicable on all models of the second-gen Pixel family, allowing customers to get up to $200 off on the top-of-the-line Pixel 2XL. 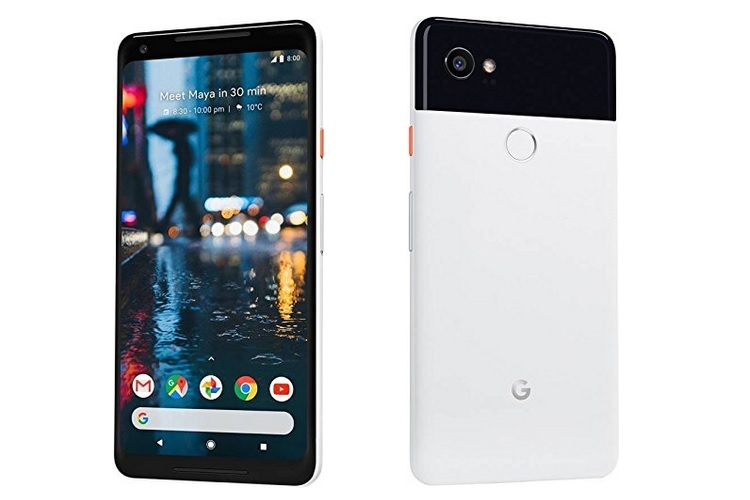 Upon redeeming the discount, customers can purchase the Pixel 2 64GB for $519 (was $649), the Pixel 2 128GB for $599 (was $749), the Pixel 2 XL 64GB for $679 (was $849), and the Pixel 2 XL 128GB for $759 (was $949). While the offer is quite enticing for most users, the ambiguity behind the selection criteria may leave some loyal Nexus owners upset. Certain Nexus owners in the US, who have owned at least two or three Nexus devices, have not received the promotional email, while others who only owned a single Nexus device have. Additionally, since the offer is limited to customers in the US, Nexus owners from other regions won’t be too pleased.